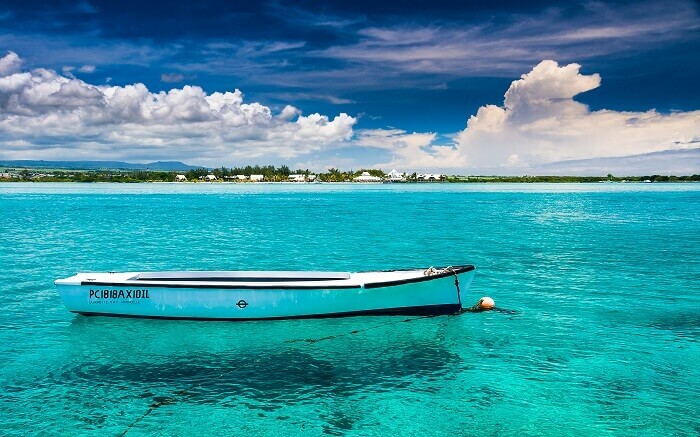 Mauritius is officially known as the Republic of Mauritius. It is a country in East Africa and lies on the Indian Ocean. This island nation is popular for its pristine beaches, lagoons, mountains, and reefs. The interiors of the Island are covered with mountainous dense rainforests with rich flora and fauna. Though this destination has tropical weather throughout the year, with the weather being warm, the best time to visit Mauritius is between the months of May and December. The weather during this time is cool, sunny and dry, which makes it suitable for all the beaching scenes and wildlife exploration, this island is known for. Mauritius has some of the best beaches in Africa and the restaurants here serve unbeatable tastes in seafood. Mahebourg in Mauritius is a small city in the Southeastern coast of Mauritius. It is a major village – city of the Grand Port District. Mahebourg was named after a famous French colonial governor, Bertrand-François Mahé de La Bourdonnais. Mahebourg was originally built by the Netherlands during their short colonial period on the island because it was close to their port and had an abundance of water supply. The city saw major developments in 1806 when the French had colonized it. Over the years, Mahebourge has grown to become what it is now, a busy center for local trade activities. And there are many interesting places to visit near Mahebourg Mauritius which has made it one of the best tourist places in the tropical island nation. Mahebourg is one of the best places to visit in Mauritius. This small city – village has a busy and popular waterfront complex with great opportunities for hanging out places and nightlife scenes with several casinos and restaurants lined up there. Here are some of the best places to visit near Mahebourg Mauritius. Make sure you include them on your Mauritius bucket-list and do not skip them. Simply pure and pristine! Located in the Grand Port district in the eastern part of Mauritius, Blue Bay Beach is an amazing spot for sea-bathing and swimming. Surrounded by Filao trees in a semi-circle, the beach has deep, azure waters, sparkling sandy shores and lively and vibrant people. There are a plethora of activities like swimming, diving, snorkeling, rowing, and fishing if you are looking at some fun and adventure. The marvelous turquoise water accompanied by the luxuriant greenery around make for a spectacular view. Famous for: Water activities and sports – yachting and windsurfing to be precise. Also known to be a perfect destination for honeymoon and family trips, Blue Bay Beach offers many couple experiences like banana ride, water scooters, parasailing and such. Key attraction/s: A peek into worlds one of the biggest marine park, The Blue Bay Marine Park, certainly comes as a perk. Up to a depth of 5.5 meters, this park homes various coral and fish species. The Blue Bay Marine Park has above 50 variety of coral species, out of which 80 percent of species are still alive. The reckless degradation of the marine environment had led the government to bring this park under its protection. Sitting on this marine park is a small island, ‘Ile des Deux Cocos’, which comes within a lagoon. The lagoon spans an area of 4.22 hectares. Must Read: 8 Waterfalls In Mauritius To Witness The Prodigious Work Of Nature! Featuring a fine dining ambiance, and authentic Indian cuisine, Safran is one of the best Indian restaurants in Mauritius. If you are looking for Indian pure veg restaurants in Mauritius then book your table at Safran to relish the true Indian as well as Mauritian flavors in a contemporary open kitchen setting, overlooking the Hibiscus Bay. 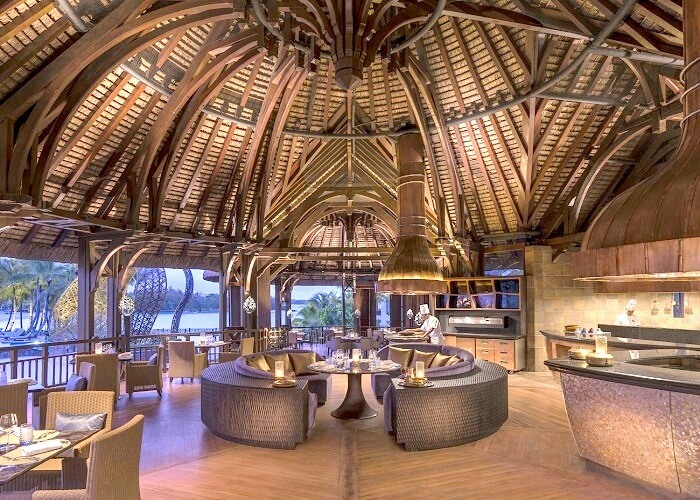 The dome styled roof with wooden ceiling, flaunting the intricate designs and patterns is a major highlight of this place. Suggested Read: 12 Best Beaches In Mauritius For Your Next Reviving Holiday In 2019! 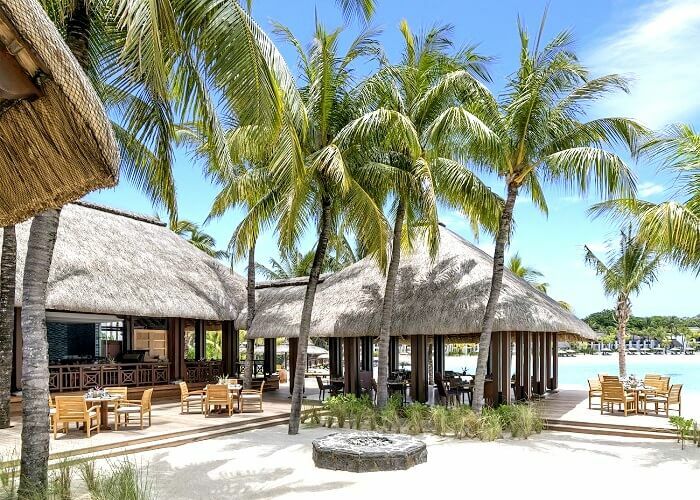 Cherish a luxurious beachfront dining experience at one of the top restaurants in Mauritius, the Republik Beach Club & Grill, located on the Frangipani islet. Whether you are seeking a bohemian experience, or a contemporary fine dining feel, this beachside restaurant caters to all your needs along with extra benefits of special theme nights, live music, and DJ performances, and a trendy bar, to complement the atmosphere, as well. 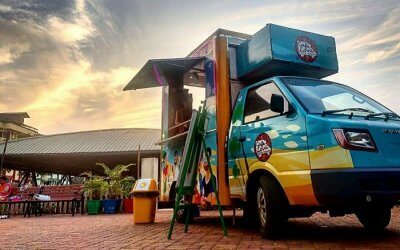 Suggested Read: 10 Restaurants In Mauritius Which You Cannot Miss On Your Trip In 2019! As the name suggests, this historic village is located in the Southeastern side of Mauritius, in the Indian Ocean. 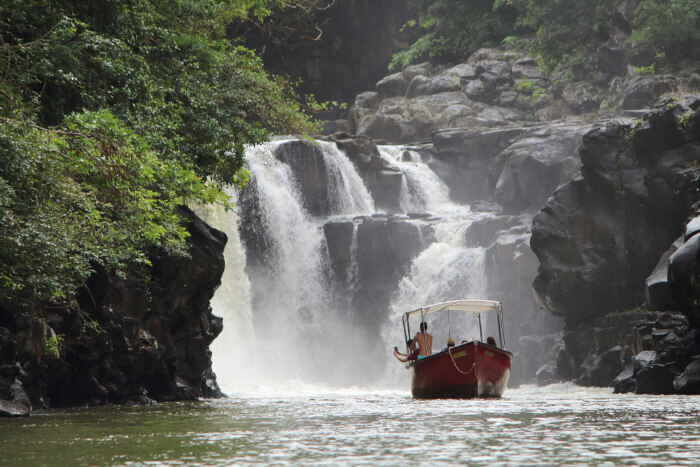 The Grand River forms broad cascades which you can explore through a boat ride. 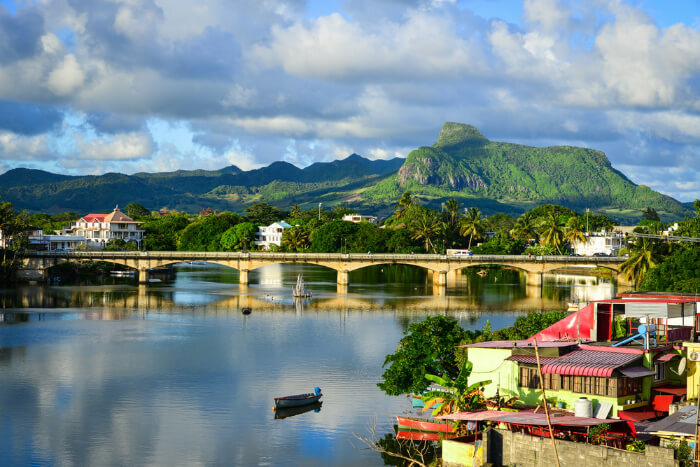 The Grand River South East is another major tourist attraction in Mauritius. Located in the South Eastern Coast of Mauritius, your journey to the waterfall will witness winding paths that lead to coastal villages. On the way, the scenic transition from turquoise blue to greenish water will put in an amaze. The thick vegetation and huge wall of basalt rocks dominate the area. Suggested Read: Sir Seewoosagur Ramgoolam Botanical Garden: Ideal Spot For A Day Tour In Mauritius! One of the best historical places in Mauritius, the plantation of St. Aubin goes back almost two hundred years. 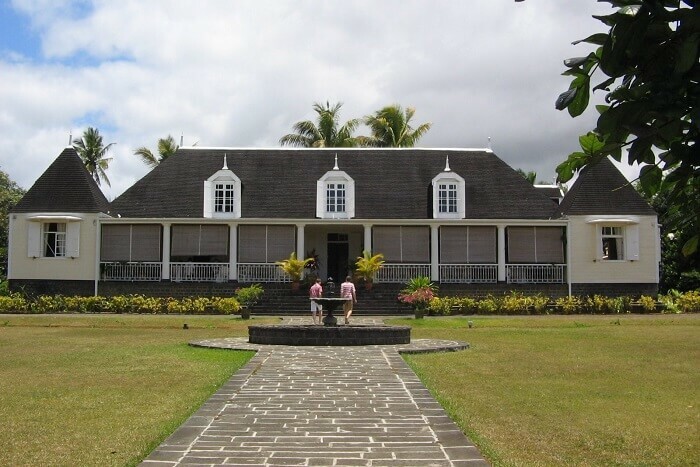 St. Aubin plantation house in Mauritius dates back to 1819. The plantations were located next to the factory but were later shifted int the 1970s to make it convenient for the owner. The factory estate no longer deals in sugar. However, the lawns of this huge house are now home to a rum distillery. There is a vanilla house, spice garden, tropical garden here as well. You will be accompanied by a guide on your walk around the house and its different parts including the famous sugar factory. The five-course Mauritian lunch here, focussing on palm, mango, and pineapple, also sets the mood right. Mahebourg is a great place for holidaying in Mauritius. Are you excited to explore these amazing places to visit near Mahebourg Mauritius? If yes, plan a trip to Mauritius with your friends and family and enjoy one of the most fascinating island vacations ever.